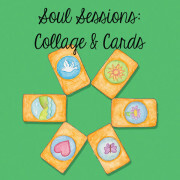 Continue Shopping “Soul Sessions: Collage & Cards” has been added to your cart. 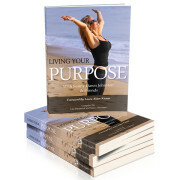 Continue Shopping “Living Your Purpose” has been added to your cart. Continue Shopping “Life Coaching @ The Beach (4 Sessions)” has been added to your cart. Continue Shopping “Life Coaching (4 Sessions)” has been added to your cart. 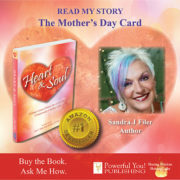 Continue Shopping “Heart & Soul” has been added to your cart. Continue Shopping “Love Yourself Heal Your Life Two-Day Workshop” has been added to your cart. Sandra J Filer, “Happie G,” is a powerful and insightful coach who helps clients realize who they truly are, what they most deeply desire in their personal and professional lives, and then guides them step-by-step in achieving it. Life Coaching is a collaborative relationship that empowers you to live your best life. Sandra J Filer, “Happie G,” is a powerful and insightful coach who helps clients realize who they truly are, what they most deeply desire in their personal and professional lives, and then guides them step-by-step in achieving it. Life Coaching is a collaborative relationship that empowers you to live your best life! Discover answers for your Life’s unique situations. Identify and move through fears. Set and achieve personal goals. Create a life of filled with a balance between work and play. Life Coaching is done over the telephone with email support. Life Coaching can help you achieve balance, make better choices, feel supported, experience higher energy levels, increase your money consciousness, and supports the philosophy of Louise Hay. Are you ready? Let’s get started! Your best Life is waiting for you to step right into it.